As 2017 was quite a boring year for me, I want to make sure 2018 is more exciting. I know everyone says this, but time did go so quickly! I had some ideas about what I wanted to do and where I wanted to go in 2017, but not many of my plans materialised. I don’t want the same thing to happen again, so I am going to write out a 2018 travel bucket list. I always go abroad with my boyfriend once a year; that’s always the highlight of the year for me. However, this year we might just have a staycation in the UK and have days out instead. Afterall, there is so much to see and do in your own back garden. We can’t afford to go abroad AND have days out in the UK, so we’ll have to decide which one we’re doing to do. What’s on your 2018 travel bucket list? I used to always visit the small coastal towns and villages of Suffolk with my family, but I haven’t been for a long time now. Picture-perfect coastal destinations include: Southwold, Aldeburgh, Thorpeness, Dunwich, Sizewell and Walberswick. Again, visiting the heaths and nature reserves is something I used to do a lot with my family. There are some wonderful places to visit such as the Minsmere and Orford Ness nature reserves. Norfolk has a great coastline as well, but I’ve only ever been to Great Yarmouth before. I would love to visit new places such as Cromer, Happisburgh and Sheringham. I love visiting historic castles and grand houses, so I would love to visit any National Trust and English Heritage sites. There are so many different places to choose from to make a memorable day out. I live so close to Thetford Forest and The Norfolk Broads, but I have never been before! These two places are definitely on my list of things to do in the summer. As I am a chef, this show is very interesting to me. There is live entertainment from celebrity chefs, and you get to go shopping and taste before you buy. I have been a couple of times before, but not for a long time. I have been a big fan of Harry Potter right from the start, so I would love to visit the Warner Bros. studio tour! It is quite far away from me, but it would definitely be worth the journey. I know I mentioned this above, but I would also love to visit places further afield as well. It would probably be worth becoming a member for a year, so we pay one fixed price and save money if we visit lots of different places. I have been to Cambridge a couple of times before in the winter to go shopping, but I would like to visit in the summer so I can explore more. 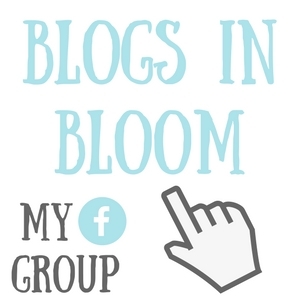 Previous Post Advertise Your Blog In My New Facebook Group! 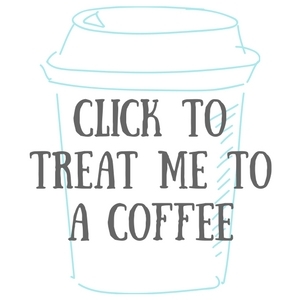 You definitely should :). Thanks for reading! Those are some of the most amazing places looking at pictures. I love historical places as well as beaches. I also feel the places that are closer to our home tend to most ignored. We’re excited to see what exciting places are in store for you in 2018!! Hi, You need to venture further South West, if I should be so bold as to suggest, a visit to Cornwall is surely the best! Great post! I too hope to travel more in 2018.